How are bacteria flagella duplicated in reproduction? Here’s a random question that popped into my head. The bacterial flagellum (flagellar motor, parts and filament - the whole thing) must be duplicated when the bacteria divides and becomes two. Have the details of that duplication process been observed and documented to show the sequence of steps? What are the steps involved in its construction? What “protein tools” are used to construct the flagellar motor, stator, etc. Where are they stored in the cell or are they generated when needed, and then destroyed when finished? What proteins (scaffolding) hold the partially assembled parts together while the assembly is being constructed? Where/how are the component parts staged as they are readied for assembly? Is this documented anywhere where I can read about it or is there a video showing its actual construction? @Raymond_Isbell A quick search of Google Scholar found a bunch of links. Take a look and see if you find anything interesting. Not all are freely available. Sometimes I do a Google search on a paper title and find it available for free. There are YouTube videos on flagellar assembly but I don’t think they go into the depth you are looking for. If you want to read a review article on the various structures of bacterial flagella, including an overview of how they are assembled, see below. I’m glad to send a PDF to anyone who asks. Very basic summary: bacteria flagella are diverse in form and function but the ones that have been well studied so far are all self-assembling. The relationship to cell division varies, but there are some very interesting patterns, in which the flagellum of the new cell arises at a particular spot (opposite pole). Open access paper here. https://www.ncbi.nlm.nih.gov/pmc/articles/PMC5386592/ from March 6 2017. 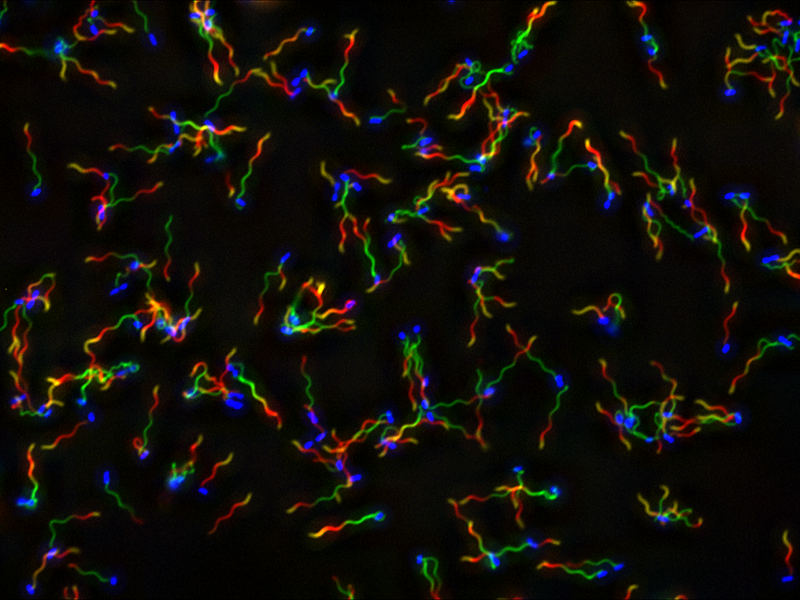 Simple biophysical principles underly how bacteria make tail-like filaments that allow them to move. Apparently this is a good example of disappearing gaps as science explores and finds the answers to puzzles previously unexplained.